In Galaxy S3 (as well as Galaxy Note 2), Samsung sold us Smart Stay, which prevents the display backlight from turning off while you are looking at the display. In S4, Samsung moved one step further: when you move your head away, the video being played will be paused. This is what Samsung named as Smart Pause. When you move your head back (stare at the screen), it will resume automatically. You can enable and disable this feature in Settings–My device–Smart screen–Smart pause. To disable this feature, just un-check it. Q1 : When playing a video, it is often stops by itself. 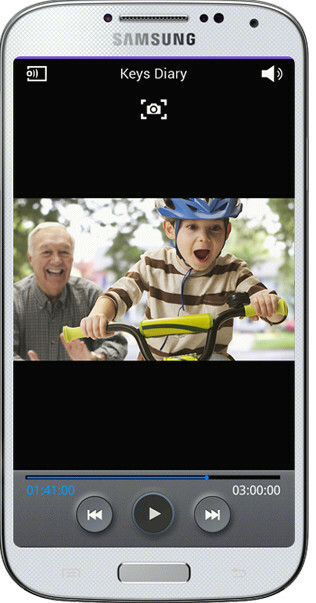 If you turn on the Smart pause, video will pause when the device detects that you are facing away from the screen. Q2 : The Smart pause feature does not seem to function well. 2. If there is strong lighting behind you or if you are using the device in a dark place. 5. Are you trying to control SMART Pause using a palm motion? Yes, sometimes it works well, sometimes, not so well. This feature is not working for me at all, very disappointing as it’s one of the feature that draw me in. it needs a better sensor. for me it is not working at all…. Mine works ONLY from the Gallery. It only work with some in-stock apps.not all apps. Disable, then enable. Also, you need look at front camera before turning your head. Did you see see the icon of smart pause in status bar?